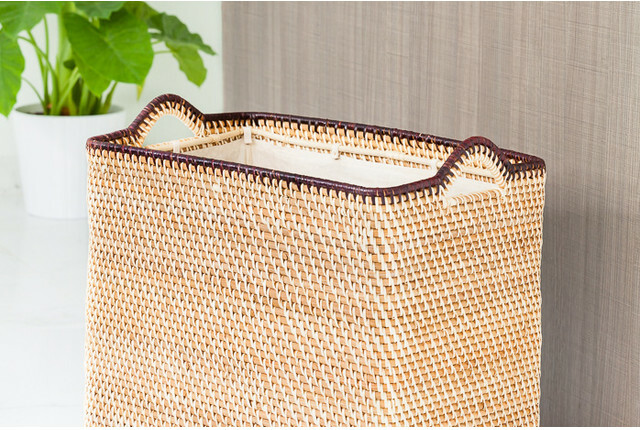 Our Rattan Hamper Makes Your Laundry Look Fresh! We've reached a laundry tipping point. Gone are the days when the only option for laundry hampers were the simple plastic ones that got your goods from point A to point B. Here are the days of more thoughtful and honestly, more stylish, laundry hamper options. No longer a forgotten basket in a hidden room behind a door - laundry hampers are having a moment in the spotlight. We have many a hamper and basket to cater every style and storage whim - but we've had our eye on one in particular - our Rattan Hamper, for some time now. With just a few details on display, you can see how easily this hamper shines. It's structured but soft, edgy but clean. 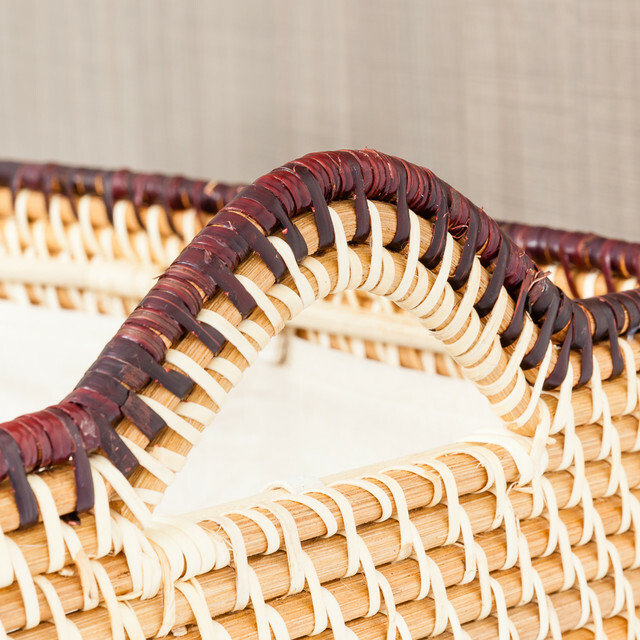 It takes the most skilled artisan three days to weave our Rattan Hamper by hand (yes, you read that right - three days) - painstakingly created with quality, durability, and of course, beauty, in mind. 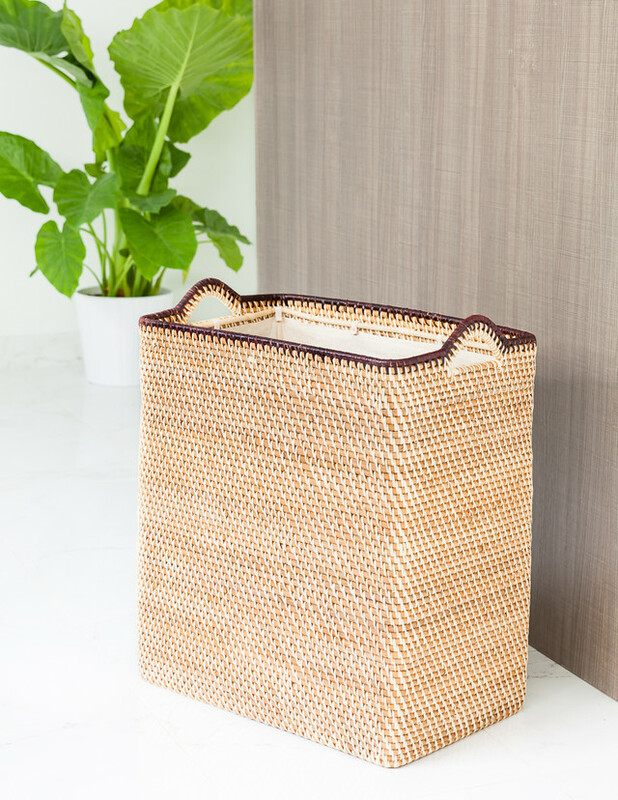 It's made from sustainable water hyacinth, meaning that this hamper does as much good for our earth as it does for you! A beautifully crafted top and edge with integrated handles is double woven for added strength as you tote from room to room, and the duo of colors highlights that the hamper is hand-dyed to maintain the utmost quality in design and size. The interior canvas liner is removable and snaps into place in several areas of the hamper's interior - so you can pile the laundry without worry of the bag's collapse! And it's machine washable for those days when your laundry helpers need a little help, too. So go ahead, make the laundry leap and give yourself a little style upgrade with a piece that will look beautiful (and work beautifully) for years to come.